The Behringer MX400 MicroMix is big on features while still ultra-compact in size yet yields the highest sonic quality at all output levels. 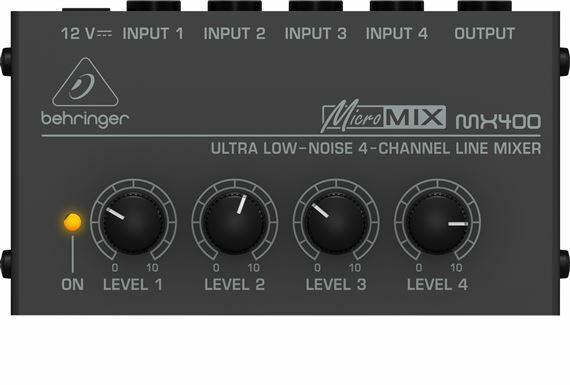 The Behringer MX400 MicroMix is big on features while still ultra-compact in size. The MX400 yields the highest sonic quality at all output levels, boasting ultra low-noise 4580 operational amplifiers for outstanding audio performance - the same op amps found in its much bigger brethren. Expanding on the capabilities of standard-size mixers is where the MX400 does extremely well, for example as a sub-mixer. If you are running short on available channels on your big mixer and need to bring the output of three different keyboards into your mix, you can simply connect them to the MX400, work out the keyboard mix, and connect the MX400’s output to a single input on your main mixer. The Behringer MX400 MicroMix will catch your eye because it’s cute as a button, but you’ll want to own one because of what it can do for your performance. I cannot day enough good things about it, it does what it’s supposed to do and it does it very well. I needed a basic 4 channel mixer without the bells and whistles and this mixer was perfect. Metal construction,well built, low price, excellent for 4 channel mixer. We use this in rehearsal and live to feed three synths and one sample pad to a single di. Now our keys player can adjust the volume on each quickly and easily. 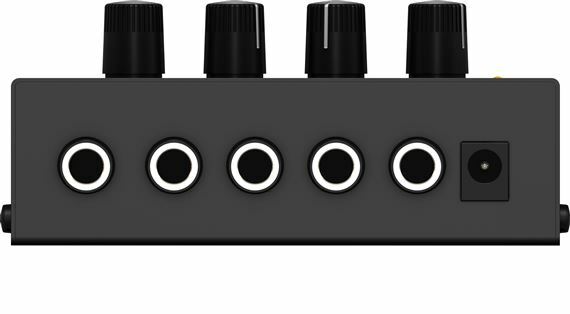 Great micro mixer for adding additional mics to my keyboard that has a 1/4 mic input. For quik connection, expanded input, gets it done. Very easy to use. I use it to expand to 3 mics on Numark NS7. Seems to be built well. Time will tell. Well made and worth the price. Really only one feature, and it makes it easy to add lines or mics to an existing set-up. Sound is acceptable. Of course, anytime you add more "links" within a system, sound quality diminishes a bit. Only used for a few gigs, only time will tell. 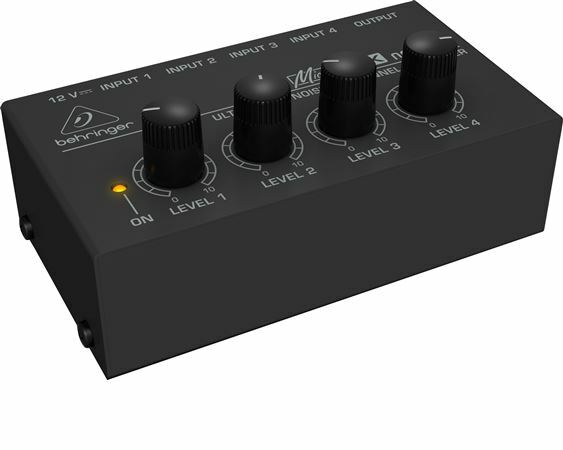 But, Behringer products have been good in the past and I expect the same from this. Good quality for the price and perfect for quickly adding lines. Its small and made of metal. The weakest link I can think of is the AC wallwart, the cord might break if you pulled on it too hard by accident. Still working fine after pretty much being forgotten in my bag. 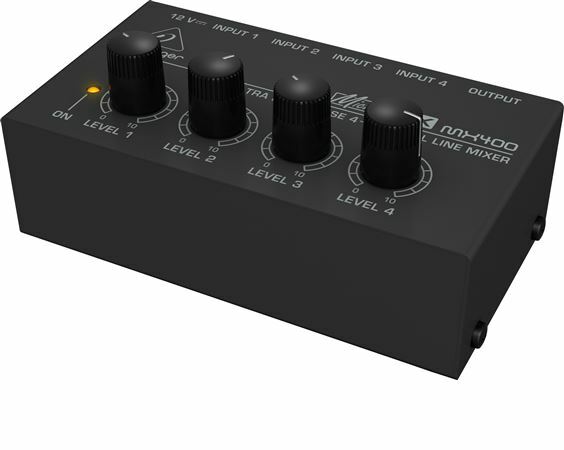 Perfect little mixer if you have more than one instrument/preamp and want to use just one power amp/cabinet. Thats what I use it for. Only other thing its ever been used for was my In-Ear Monitors when I needed 4 inputs instead of 2.